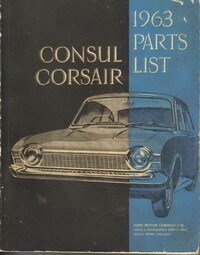 Bodywork spare parts catalogue dated 1966. In Italian, French, German, English and Spanish text. With part numbers and diagrams. Good condition. 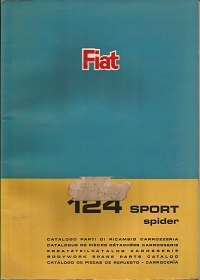 Spare parts catalogue dated 1973. In Italian, French, German, English and Spanish text with part numbers and diagrams. In good condition. 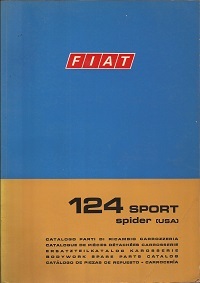 Transmission, suspension and steering parts catalogue dated 1984. Covering lots of models from the 500 to Ducato and more. In ver good condition. Bodywork parts book. US version dated 1968. In Italian, French, German, English and Spanish text with part numbers and diagrams. Good condition. 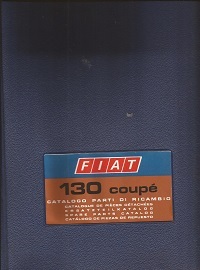 Bodywork spare parts catalogue dated 1971. In Italian, French, German, English and Spanish text. In good condition. 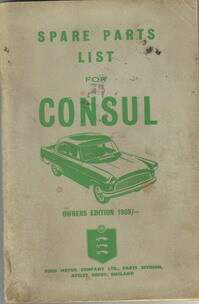 Owners edition dated 1959. 80 pages of exploded diagrams and part numbers and in good condition. 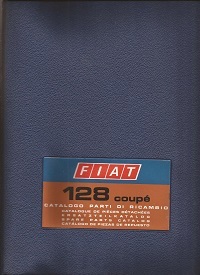 Bodywork spare parts catalogue dated 1972. In Italian, French, German, English and Spanish text with part numbers and diagrams. Good condition. 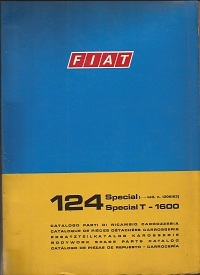 Factory spare parts catalogue dated 1973. 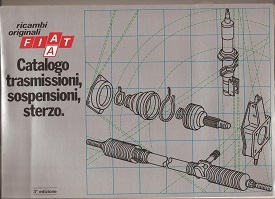 In Italian, French, German, English and Spanish text with part numbers and diagrams. Rare and in very good condition. An original 1963 Ford parts list for standard deluxe and GT models both RHD and LHD. Multi language text and in good condition.